As organizations expand analytics practices and hire data scientists and other specialized roles, big data pipelines are growing increasingly complex. Sophisticated models are being built using the troves of data being collected every second. The bottleneck today is often not the know-how of analytical techniques. Rather, it’s the difficulty of building and maintaining ETL (extract, transform, and load) jobs using tools that might be unsuitable for the cloud. In this post, I demonstrate a solution to this challenge. I start with a noisy semistructured dataset of seismic events, spanning several years and recorded at different locations across the globe. I set out to obtain broad insights about the nature of the rocks forming the Earth’s surface itself—the tectonic plate structure—to be visualized using the mapping capability in Amazon QuickSight. An earthquake is caused by a buildup of pressure that gets suddenly released. Earthquakes tend to be more severe at the boundaries of destructive tectonic plates. These boundaries are formed when a heavier and denser oceanic plate collides with a lighter continental plate, or when two oceanic plates collide. Due to the difference in density, the oceanic lithosphere is pushed underneath the continental plate, forming what is called a subduction zone. (See the following diagram.) 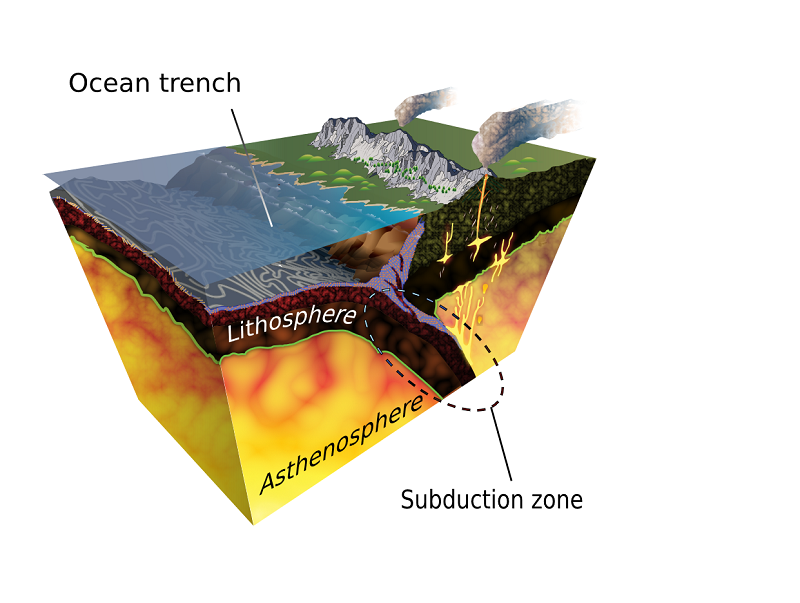 In subduction zones, earthquakes can occur at depths as great as 700 kilometers. 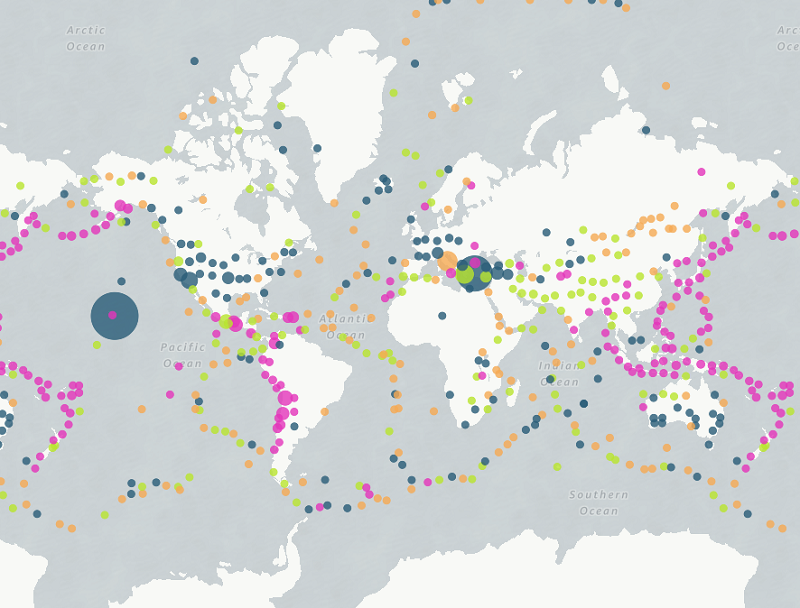 For our analysis, we ultimately want to visualize the depth of an earthquake focus to locate subduction zones, and therefore find places on earth with the most severe earthquakes. The data source is from the International Federation of Digital Seismograph Networks (FDSN). The event data is in JSON format (from the European Mediterranean Seismological Centre, or EMSC). 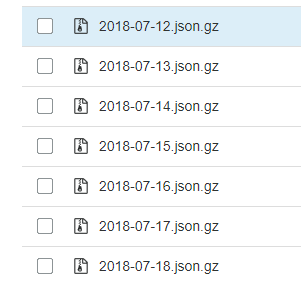 An external process accumulates files daily into an Amazon S3 bucket, as shown following. 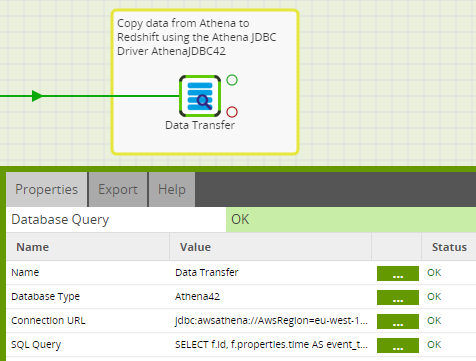 Athena reads and flattens the S3 data and makes it available for Matillion ETL to load into Amazon Redshift via JDBC. Matillion orchestrates this data movement, and it also provides a graphical framework to design and build the more complex data enrichment and aggregation steps to be performed by Amazon Redshift. Finally, the prepared data is queried by Amazon QuickSight for visualization. You can use Athena to query data in S3 using standard SQL, via a serverless infrastructure that is managed entirely by AWS on your behalf. Before you can query your data, start by creating an external table. By doing this, you are defining the schema to apply to the data when it is being queried. You can choose to use an AWS Glue crawler to assist in automatically discovering the schema and format of your source data files. The following is the CREATE TABLE statement that you can copy and paste into the Athena console to create the schema needed to query the seismic data. Make sure that you substitute the correct S3 path to your seismic data in the LOCATION field of the statement. After the table is created, you are ready to query it. Athena uses the in-memory, distributed SQL engine called Apache Presto. It provides the ability to unnest arrays, which you use next. The embedded array in every source record gets flattened out and converted to individual records during the JDBC export (download the .jar file) into Amazon Redshift. You use a Matillion ETL Database Query component to assist with the data transfer during this step, as shown in the following image. Runs the SQL SELECT statement (shown in the following example). Streams query results across the network from Athena and into temporary storage in S3. Performs a bulk data load into Amazon Redshift. The CROSS JOIN UNNEST syntax flattens the embedded array, generating hundreds of individual event records per day. Now that the data has been copied and flattened into individual event records (shown in the following image), it’s ready for enrichment and aggregation. Earthquakes occur along a continuous range of spatial coordinates. In order to aggregate them, as we’ll be doing very soon, it’s necessary to first group them together. A convenient method is to assign every event into a Universal Transverse Mercator (UTM) zone. These zones are six-degree bands of longitudes that convert the spherical latitude/longitude coordinates into a 2D representation. Performing this conversion provides good granularity for visualization later. The calculation to convert a spherical longitude/latitude coordinate into a two-dimensional UTM coordinate is complex. It can be performed ideally using an Amazon Redshift user-defined function (UDF). I chose a UDF for the ability to invoke it, via a Matillion component, in the next step. To bring the values out into individual fields, the UDF is first invoked using a Matillion ETL Calculator component, followed by a field splitter and a Calculator to perform data type conversion and rounding. To reiterate, we’re interested in the depth of earthquake focus specifically on destructive plate boundaries. Knowing the depth helps us estimate the potential severity of earthquakes. We need to find the average event depth within each UTM zone, in the expectation that a spatial pattern will appear that will highlight the subduction zones. The last three steps in the Matillion transformation (shown in the following diagram) perform the necessary aggregation, add a depth quartile, and create an output table from the resulting data. Count the events (which determines the size of the visual representation). Find the average depth (which determines the color of the visual representation). Determine the average latitude and longitude (which approximates to the center of the UTM zone, and determines the position of the visual representation). Average depth is a useful measure, but to maximize the visual impact of the final presentation, we also take the opportunity to rank the results into quartiles. This allows the zones with the deepest quartile to stand out consistently on the map. Amazon Redshift is great at performing this type of analytics, which is delivered inside another Matillion ETL Calculator component. The Recreate Output step materializes the dataset into an Amazon Redshift table, ready for Amazon QuickSight to visualize. Geospatial — the average lat/long per UTM grid. Size — the record count, in other words, the number of events in that UTM zone. Color — the Depth Ntile, with the fourth quartile in pink. The resulting map shows the global subduction zones highlighted clearly in pink, these being the areas with the deepest earthquake’s focus on average. In this post, I used seismological data as an example to explore challenges around the visualization of unstructured data and to provide best practices. I suggested a way to overcome these challenges with an architecture that is also applicable for datasets from a wide array of sources, beyond geology. I then explored how to orchestrate activities of different data processing tasks between S3, Athena, and Amazon Redshift using Matillion ETL for Amazon Redshift. If you’re trying to solve similar analytics challenges and want to see how Amazon Redshift and Matillion can help, launch a 14 day free trial of Matillion ETL for Amazon Redshift on the AWS Marketplace or schedule a demo today. If you have questions or suggestions, please comment below. If you found this post helpful, be sure to check out Top 8 Best Practices for High-Performance ETL Processing Using Amazon Redshift, and Orchestrate multiple ETL jobs using AWS Step Functions and AWS Lambda. Ian Funnell, a lead solution architect at Matillion, is a seasoned cloud and data warehousing specialist. Ian is dedicated to supporting customers in driving their data transformation forward and solving their deepest technical challenges. Ian’s has 25+ years experience in the tech industry.